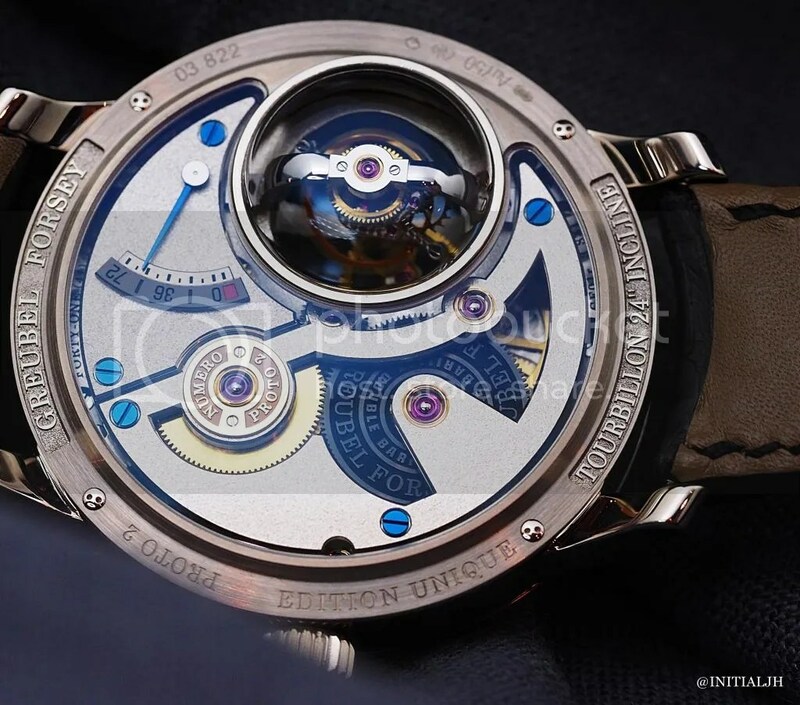 Commemorating its 10th anniversary this year, Greubel Forsey presented a few new watches at SIHH 2015 of which two stood out – the Tourbillon 24 Secondes Vision that is the subject of this post, and the Philippe Dufour collaboration (by way of Michel Boulanger) called ‘Naissance d’une Montre’ that wasn’t, strangely, heavily promoted and about which I shall discuss in a subsequent post. 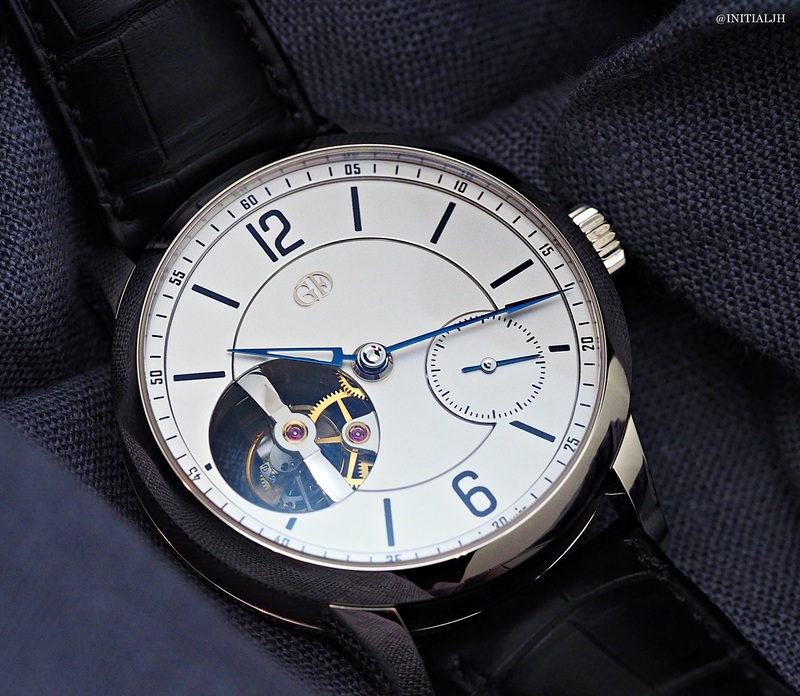 But first things first – a initial glance at the Toubillon 24 Secondes will indicate that this isn’t like almost all of Greubel Forsey’s other pieces. They had a specific goal – to make this watch as slender as possible within the constraints of including an inclined tourbillon cage. For those who have handled Greubel Forsey watches you will know that they have considerable thickness and heft, in no small part due to the tourbillons. 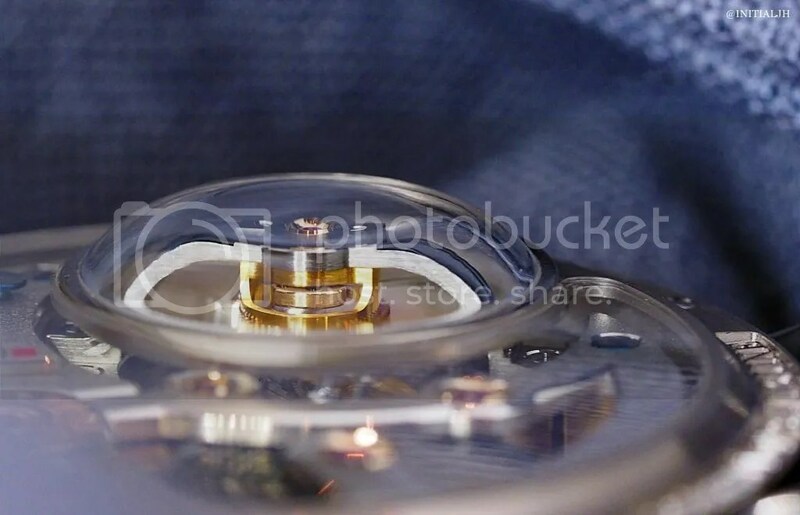 The tourbillon cage consists of 86 parts and with a cage weight of 0.38 grams, is inclined at a 25 degree angle, and performs a full rotation every 24 seconds (hence the name). 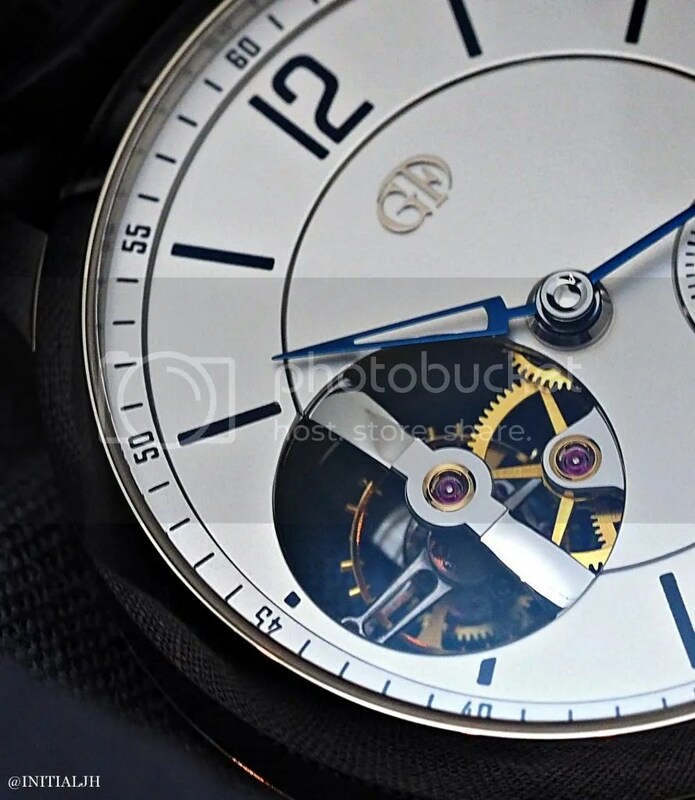 The movement iis the Calibre GF01r which consists of 288 parts and has a 72-hour power reserve. How have they reduced the bulk of this piece? By incorporating a dome into the sapphire crystal on the back, creating enough extra volume to allow the tourbillon cage to overlap the reference surface of the rear bridges. In terms of wearing it, the protrusion isn’t too obtrusive but may require getting accustomed to. The full measurements of the 18k white gold case are – 43.50mm diametre and 16.025mm thick including the protruding sapphire crystal dome. The dial appears to be simple but is in fact 18k gold that has been plated with palladium to give it this colour. The hands are blued-steeland indices that are first engraved into the dial and then oven-fired-enamelled. Coming on a hand-sewn black alligator strap with 18k white gold pin buckle, the 24 Secondes is in a limited edition of 22 pieces with a price of 290,000 EUR.